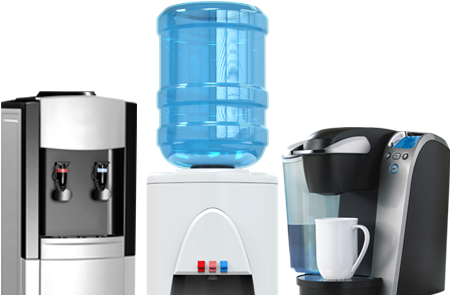 Call on us for clear, refreshing, good-tasting bottled water conveniently delivered directly to your home or business. Water flows through a line from your water supply to your cooler and is filtered through the tap, so you can enjoy perfect, clean water. Keep employees happy with a fully stocked supply of coffee and other hot beverages with our dependable office coffee service. For over 90 years, Belmar Spring Water has been offering convenient delivery of crisp, refreshing natural spring water to residential and business customers in Northern New Jersey. Customers can also enjoy our convenient Coffee Service. Our delicious coffee, tea, and hot chocolate is available, in addition to cool, refreshing Belmar Spring Water. We offer a variety of Foodservice supplies, including cups, bowls, napkins, and foil sheets, and Janitorial / Restroom items such as toilet and facial tissues, liners, soap, towels, and wipes. We value your business! Belmar Spring Water is pleased to present special offers to our new and existing customers. Visit our website often to check for new promotions. Running late and need to pay your bill? Click here to make a payment fast, easy and on-time. Need Water Service? Choose Belmar Spring Water Contact Us! 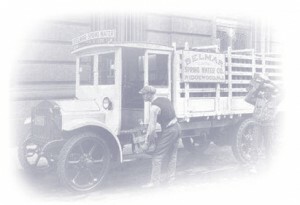 The Outwater Family has been providing homes and businesses with pure water from the same natural spring since the founding of Belmar Spring Water in 1924. Through three generations, our family has remained committed to providing consistently dependable service. We’ve remained local so we can develop and maintain relationships with our valued customers. A deep, underground spring running under our protected land is the source of Belmar Spring Water, which we quickly bottle and deliver to ensure the fresh, crisp taste our water is known for. And you can feel confident in knowing exactly where the water is coming from – the same pure spring for more than 90 years. Can you say that about the “big” bottled water companies? You know you can rely on Belmar Spring Water for the best taste and the highest quality. Throughout the bottling process, we ensure our water’s quality and purity by following strict controls and closely adhering to Good Manufacturing Practice codes and purity guidelines established by the International Bottled Water Association(IBWA) as well as all FDA and state standards. When you drink Belmar Spring Water, you can be confident that you’re enjoying the purest, best-tasting water. We are local. That means our water is fresh, not shipped across the country but delivered to you right after bottling. Being local also helps us control costs and pass the savings to our customers! Make a payment below fast, easy and on-time. We are a family-owned business that considers all our customers part of our family! Serving you well and reliably is our #1 priority.